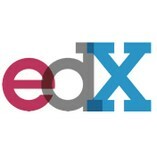 EdX offers interactive online classes and MOOCs from the world’s best universities. Online courses from MITx, HarvardX, BerkeleyX, UTx and many other universities. Topics include biology, business, chemistry, computer science, economics, finance, electronics, engineering, food and nutrition, history, humanities, law, literature, math, medicine, music, philosophy, physics, science, statistics and more. EdX is a non-profit online initiative created by founding partners Harvard and MIT. Java程序设计 | Java Programming 4-6 hours a week , 4 weeks long 4-6 hours a week , 4 weeks long Self paced No reviews yet. Developing International Software, Part 2 3 hours a week , 11 weeks long 3 hours a week , 11 weeks long Self paced No reviews yet. Compliance in Office 365®: Data Governance 3-5 hours a week , 3 weeks long 3-5 hours a week , 3 weeks long Self paced No reviews yet. Mobile Application Experiences Part 3: Building Mobile Apps 10-12 hours a week , 5 weeks long 10-12 hours a week , 5 weeks long Self paced No reviews yet. Mobile Application Experiences Part 4: Understanding Use 10-12 hours a week , 4 weeks long 10-12 hours a week , 4 weeks long Self paced No reviews yet. Mobile Application Experiences Part 5: Reporting Research Findings 10-12 hours a week , 12 weeks long 10-12 hours a week , 12 weeks long Self paced No reviews yet. Developing Windows 10 Universal Apps - Part 2 10-12 hours a week , 4 weeks long 10-12 hours a week , 4 weeks long Self paced No reviews yet. SharePoint Basics for IT Professionals 2-4 hours a week , 53 weeks long 2-4 hours a week , 53 weeks long Self paced No reviews yet.